Here's a fun game: Get super high and try to say the name of Squimley and the Woolens' new album, Pork Chop Porch Shop, 10 times fast. Hell, try to say it three times fast when you're stone-cold sober. Wasn't that a hoot? The silly tongue twister is brought vibrantly to life in Madeleine Lyman's cover art, in which a group of fluffy, Muppet-like creatures seem to live in and operate a fantastical residential meat shop. Who knows what the dudes from Squimley and the Woolens were smoking when they dreamed up this concept? In truth, they probably weren't baked. The title is merely a reference to a house the Burlington band once shared. Though jam fans will undoubtedly find communion in the band's grooves, Squimley take pains to set themselves apart from the trappings and stereotypes of that scene. To wit: They've never covered the Grateful Dead or Phish. They much prefer the outré art-pop of Talking Heads, thank you. One smart thing the band has done to stand out from the heady glaze of jammery is to enlist local pop auteur Ryan Power as producer. In fact, this is the third record Power has produced for Squimley. His production is clean and simple, using what sounds like mostly live takes. He leaves ample room to hear Nick Ledak's fat guitar riffs, Braden Lalancette's bubbly bass lines and Max Freedberg's competent drum work. Charlie McKenna's vocals are eerily familiar, somewhere between Placebo's Brian Molko and Muse's Matt Bellamy. But unlike those two, who can be alienating (Molko) or way over the top (Bellamy), McKenna's voice is consistently friendly and inviting. Things get super trippy when he provides his own harmonies and countermelodies. One can almost envision McKenna surrounded by multiple versions of himself in a "Brady Bunch"-style grid as he bum-bums his way through "The Lumberyard." The band's inventiveness shines on its cover of Dave Mason's "Can't Stop Worrying, Can't Stop Loving." It's the album's most outstanding track, but not because it was penned by someone else. Squimley's interpretation slows the song down to dirge speed and gives it intimacy and vulnerability that's not fully captured on the original. In their hands, the forgettable 1970 ballad becomes engaging. Throughout Pork Chop, the detailed trimmings and overall pacing prevent the songs from slipping too far into delirium. "New Diotima's" doesn't linger too long on either its train shuffle or four-on-the-floor rhythms. Kevin Bloom's wacky theremin punches up the somewhat repetitive "The Legend of Hot Malone." 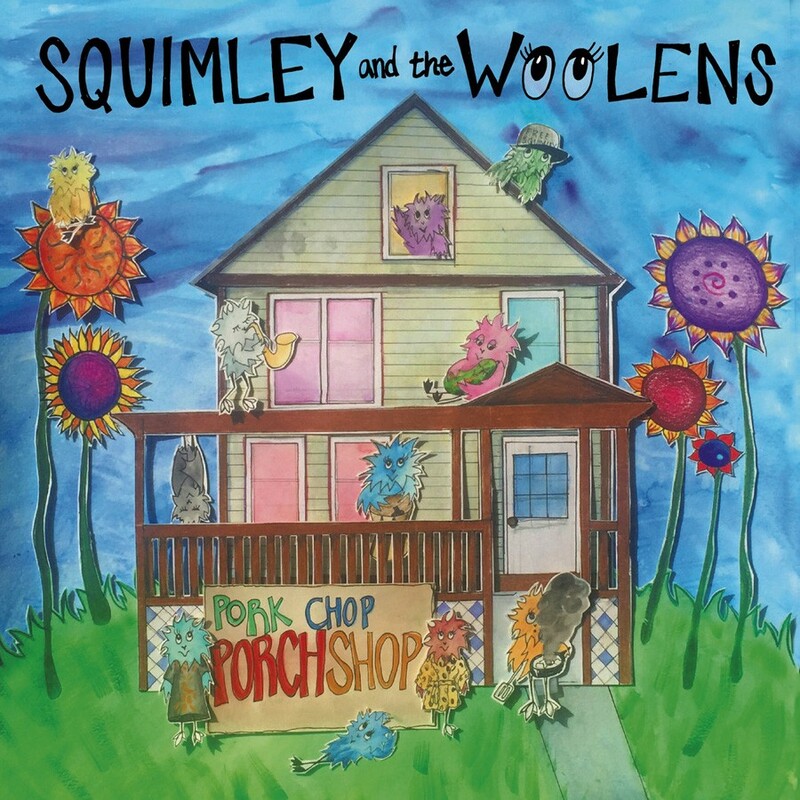 At their core, Squimley and the Woolens are a jam band. But that signifier should not dismiss them from being viewed through other lenses, nor should it discourage non-jam fans from giving them a try. Pork Chop Porch Shop by Squimley and the Woolens is available at squimleyandthewoolens.bandcamp.com.